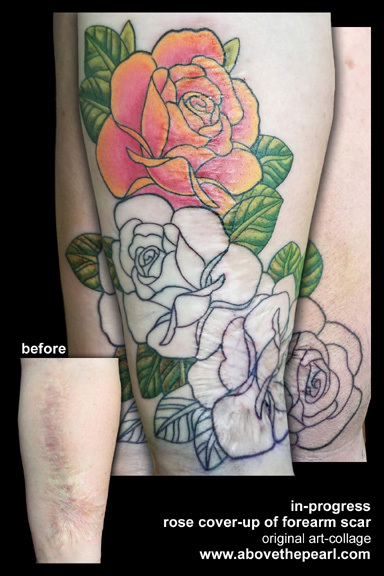 An in-progress scar cover-up tattoo of roses for my client who has a massive forearm scar that she wanted covered, to be able to move forward in her life. 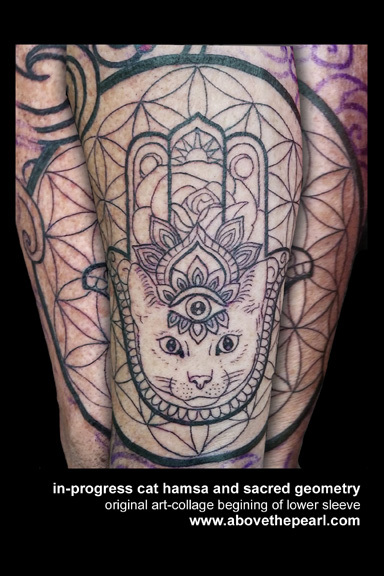 here is the beginning of the lower section of a Buddhist-inspired sleeve on a client with lots of sun damage. 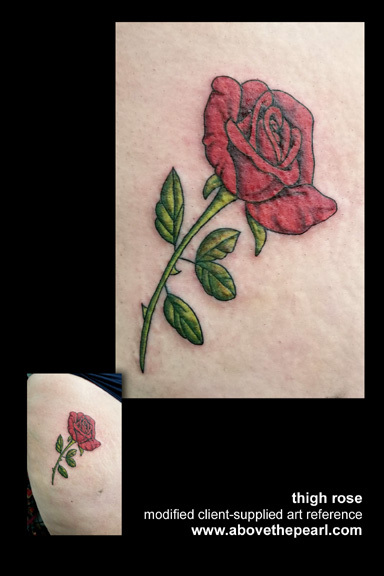 and a rose on a thigh. This entry was posted in Blog and tagged #abovethepearl, #abovethepearltattoo, #coveruptattoo, #milwaukieoregon, #portlandtattoo, #scarcamouflage, #scarcoveruptattoo, #tanyamagdalena by tanyam. Bookmark the permalink.